When the rest of the world talks about social media, they’re thinking Facebook, Twitter, etc. Knitters think Ravelry. Blog followers received our quarterly newsletter on November 6th. It included a free Ravelry code for this Estrellita Hat in November. The hat features the Showy Decrease on the brim and the raised star pattern. It’s part of our Showy Rib tutorial series. Readers were engaged, they were downloading a few dozen patterns a day and then, this morning, KABAM! My inbox contained 600 download notices at 6 am. Ravelry has done its thing and the word has spread! I’ve received several nice messages from you in my Ravelry inbox. It seems that you’re already starting your holiday gift knitting. Welcome new readers! We’ve got a page for you that will help you get started. The password for the promotion is on the Bonus Materials page so just follow and it’s yours. The password will show next to “you are following this blog” in the sidebar. If you don’t see it, read the comments on the Follow Us page for help. Make sure you link to the original post as it contains some important information about knitting the hat. Password help! There are a few readers that don’t see the password on their device. If that’s you, just click over to the “Join Us” page and read my reply in the comments section. ** Note to WordPress blog followers! P.p.s. As I head to bed, we are #1 on Ravelry today with over 2,000 downloads. Thanks to all of you!! I’d love to try this and was so excited to see the pattern is free in November, but even though I signed up to follow your blog, and got the confirming emails, when I come here I see the invitation to “Join Us!” and not the “Following” acknowledgment that would give me access to the link or code for the free pattern. Can you help, please? This happens to some readers and I never know why. If you don’t see the password, take a look at my comment on the “Join Us” page. I also sent you the Ravelry pattern code via email. I’ve tried to add info all over the blog to help knitters who don’t see the password. I just don’t know why it’s happening. You ‘should’ see it next to “You are Following this Blog” at the very bottom of the home page and on the side of any blog post. I really wish I could figure out why some don’t see the password. I joined under a different email and just checked on my computer and iPhone and I see it on the both sidebar and bottom of my computer and at the bottom on the iPhone without any problem. Ugh! Sorry!! I’ve added a “What if I don’t see the Password” info to the Join Us page. When will you be posting the pattern for the blanket to match the hat? I’ve made the hat in nearly every colour of the rainbow for my sister as she loves the design and now she’s having a baby so your blanket to match will be the perfect gift. Question is do I knit it in pink or blue or every colour to match her hat’s. You are so right! I got side tracked by other projects. I am thrilled you like the hat. Since you’re an expert in the pattern now, send me an email and I will respond with my notes so you can start before the pattern comes out. I’ll move it back up the list since I love it too. 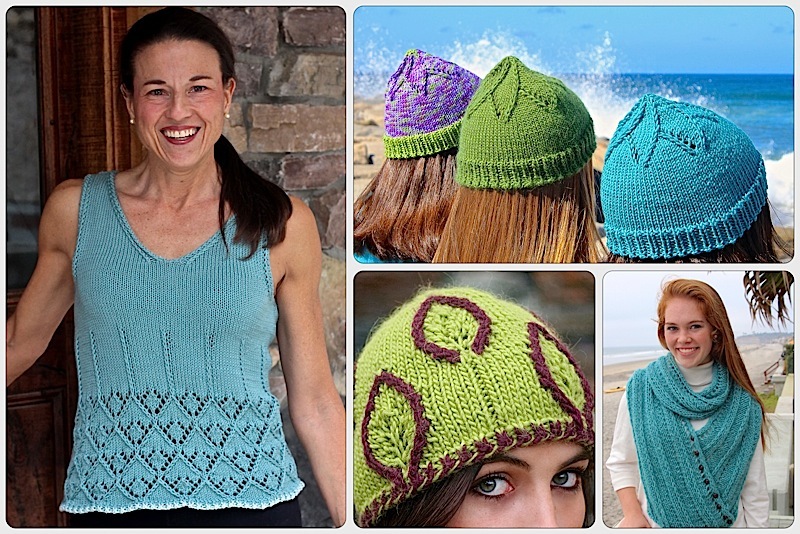 This entry was posted on November 18, 2015 by Laura Cunitz in Hats, Patterns, Showy Rib and tagged free knitting patterns, knit hats, Ravelry, Showy Decrease.